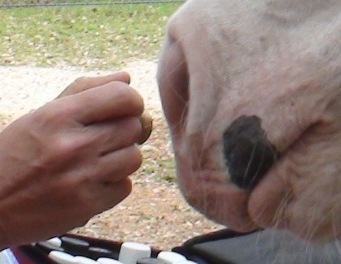 Equine massage can have a profound effect on the nervous system of the horse. Some of the benefits of equine massage therapy, to name just a few, are pain relief, stimulation of the motor nerves, relief from restlessness and sleep disturbance, and improved proprioception. Massage is also thought to help calm nervous horses or horses in unfamiliar surroundings and/or stressful conditions. From the moment the equine massage practitioner initiates touch, he/she is sending messages to the horses nervous system through the skin. The nervous system communicates using electrical signals, which travel throughout the body. The Golgi tendon apparatus can be used to chemically initiate an electrical message in order to address a muscle spasm. As well, this electrical communication system can be used to re-educate the muscles in efficient movement and the nerves to recognize correct posture. Equine massage can also be used to cause the body to release endorphins, which aide in pain relief and a sense of well-being. This can also have a direct effect on the hypothalmus, which controls the ANS (autonomic nervous system). Pain, stress and emotional experiences are all known to affect hypothalmic activity, and hence the ANS. Therefore, if pain is reduced, the body is under less stress, and this can lead to positive chemical changes within the body. As well as the numerous physiological benefits to the nervous system listed above, equine massage can also improve circulation, hair coat and muscle tone; improve recovery time from workouts; increase flexibility; aide in the recovery from injury; reduce the chance for future injury; support the immune system; and not to mention that it just down right feels good! My mare loves Lisa! With a back that goes out regularly and corresponding tightness throughout her body, Lisa puts her back together and always offers stretches I can do with her. 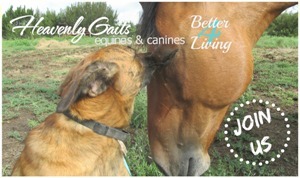 Lisa has such a wonderful energy and is so in tune with her equine clients. I'm very grateful to have found her several years ago. My mare loves Lisa Carter! Her knowledge of equine anatomy and therapeutic massage have enabled her to correct imbalances in Breeze's hindquarters. She also gave me several exercises to help her build muscles that were underdeveloped because of existing imbalances. I've used other equine massage therapists and none have gotten the results Lisa has. 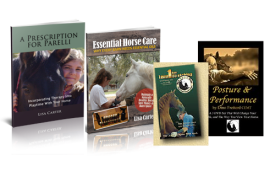 Lisa Carter is a Certified Equine Massage Therapist (CEMT), with multiple certifications from several different equine bodywork schools. She has been practicing in Texas since 2006 and has helped numerous horses return to a state of balance and improved performance. Introduce your equine partner to the many benefits of equine massage therapy. As anyone who has every received a massage will tell you, the benefits are unlimited, and the improvements to the health and well-being of the subject dramatic. Contact Lisa at lisa@carterequineproductions.com to schedule a massage for your horse now. Equine massage is never meant to take the place of veterinary care, and an equine massage therapist cannot diagnose or treat any illness or lameness. Always consult with your veterinarian when you feel there may be a problem with your horse.